It’s football season, so gather your friends and family for some quality time together. Whether you prefer your football parties tailgate-style, or in your living room on TV, here are a few easy recipes to keep everyone happily munching away. Select 18 whole Fritos and set aside. Combine the rest of the ingredients in a bowl and mix well. Fill each Frito with about a teaspoon of meat filling. Arrange Fritos on a baking tray, and sprinkle some additional cheese and taco seasoning. You can cook these on a grill (top rack for indirect heat) or oven, about 15-18 minutes at medium-high heat (500°F) until internal temperature reaches 170°F. Remove from heat, let cool for a few minutes, and then dig in! Tired of the same old store-bought salsa? This one’s quick and easy, and sure to please any guest. Use it as a dip, or as a condiment to add a little spice to your stuffed Fritos! Wash your produce, and peel the garlic gloves and white onion. 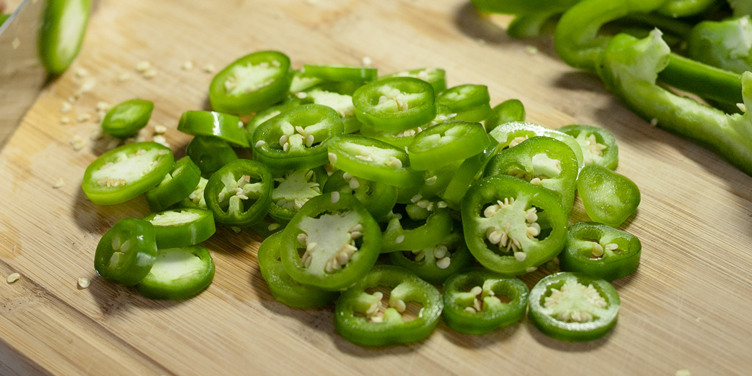 Carefully clean the jalapenos, removing the seeds and membranes inside (or leave them intact for an extra-spicy kick.) Roughly cut the produce, and mix all ingredients in a food processor or blender. Pulse until all ingredients are combined and the salsa is a uniform consistency. Make it as smooth, or chunky, as you like. First, pan-fry the ground beef with taco seasoning and jalapenos until done and crumbly. Next, set up a station with bowls each filled with the cooked beef, diced tomato, onion, cheese, and any additional ingredients you prefer. Spray a cupcake sheet pan with anti-stick spray, and carefully insert one tortilla into each section in the form of a shell. Now, invite your guests to fill their own shells with their favorite combination of ingredients. Bake at 400°F until the tortillas are golden brown and the cheese is melted. Let cool before removing carefully, and enjoy! Top the bowls with sour cream, chopped green onions, or your homemade salsa for an added touch of flavor. Need to stock up on kitchen gear? What about the rest of your football season essentials – folding chairs, grilling equipment, coolers and more? 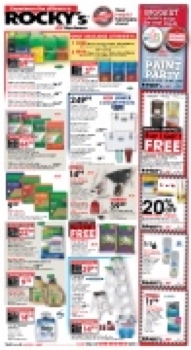 You can find all you need at Rocky’s Ace Hardware. Visit us today to get started.